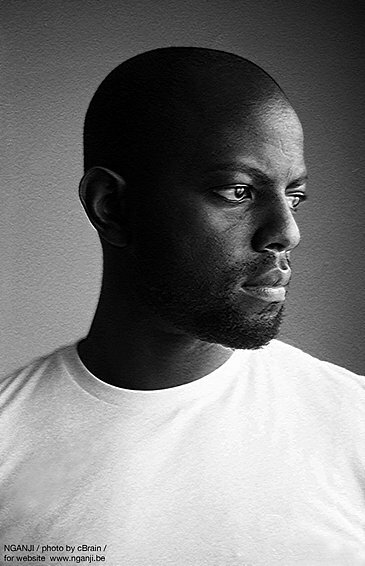 Nganji "Laeh" Mutiri is a photographer / filmmaker / actor / author born in Congo and living in Belgium. He is completing the pre-production phase of the feature film "Le Soleil Dans Les Yeux / The Sun In His Eyes" produced by D.D.P., supported by the Belgian Centre du Cinéma . Partly inspired by his award-winning short film with the same title, the new story will bring us closer to a Congolese family in Belgium, uncovering intimate struggles and complex freedom aspirations. It also takes a refreshing look at Brussels, the capital of Europe traumatized by recent terrorist attacks. The film shooting is planned for summer 2019. July & August 2019. Directing the feature film "Le Soleil Dans Les Yeux" in Belgium and in Congo. June 2019. Acting in "Ouragan" directed by Ilyas Mettioui, pre-production at Théâtre Océan Nord. April 2019. Acting in "Les Rivières Pourpres II" (TV series) directed by David Morley. March 2019. Acting in "The Sorrows Of Belgium, part 1 : Congo", directed by Luk Perceval at NTGent. February 2019. Inauguration of Collective Art Exhibitions in Brussels metro station Bourse/Beurs. December 2018. Screening of film "Ata Ndele", directed by Malkia, at Antwerp's Photo Museum. December 2018. Screening of film "Ata Ndele", directed by Malkia, at Brussels Cinéma Nova. November 2018. Acting in the Work In Progress of "Ouragan" at the Brussels City Theatre (K.V.S.). October 2018. Acting in "Ouragan" directed by Ilyas Mettioui, pre-production at L'Escaut. August & September 2018. Acting in "Festen" (theater play) directed by Alain Leempoel. September 2018. Collective photo exhibition "De Selfmade Fotograaf" in Leuven's KADOC. April 2018. Crowdfunding the final post-production steps of the short film "Ata Ndele" on KissKissBankBank. April 2018. Screening the short film "Hors Piste", inspired by Valérie Bienfaisant and Maïa Blondeau. March 2018. Collective actions with the association Human Acts inspired by Women's rights challenges. January 2018. Filming & directing the short film "Hors Piste", inspired by Valérie Bienfaisant and Maïa Blondeau. December 2017. World premiere of "Salamander 2 - Blood Diamonds" in Brussels' Bozar. Trailer here. December 2017. Photo exhibition interview in french by A4TV available here and on Vimeo. December 2017. Voice acting in animation film "caoutchouc rouge rouge coltan" directed by Jean-Pierre Griez. December 2017. Photo exhibition in Brussels' restaurant Inzia "L'Art Est Une Arme / Art Is A Weapon". November 2017. Photo exhibition in Brussels' K.V.S. theater "From Brussels To Kinshasa And Back". November 2017. Guest artist at "Procedures for Anthropometric Image Reversal" by Antje Van Wichelen. November 2017. Best film award for "Le Soleil Dans Les Yeux / The Sun In His Eyes" at the film festival FICKIN. October 2017. Photo exhibition in Louvain-la-Neuve as part of a seminar with Achille Mbembe. September 2017. Updated actor's showreel available on Vimeo and Facebook. September 2017. Postproduction of film "Ata Ndele" directed by Malkia. August 2017. Filmed metaphor "From Flesh To Bronze / De La Chair Au Bronze" with artist Maguy Yohari. July 2017. Screening "Le Soleil Dans Les Yeux / The Sun In His Eyes" at the Congo International Film Festival. June 2017. Preproduction of "Bandes Urbaines", a film inspired by individual and collective morals. May 2017. Acting in a new play directed by Ilyas Mettioui, preproduction at the Théâtre de Liège. May 2017. Collective poetry performance "Flammes" at the Maelström Fiestival (edition 11). March 2017. Acting in episode 10 of Swedish TV series "Hassel" directed by Eshref Reybrouck. March 2017. Solo photo exhibition"In Search Of Freedom" at the French-Speaking Parliament of Brussels. February 2017. Actor's showreel available on Vimeo with extracts from released films and upcoming releases. February 2017. Art talk with Anne Wetsi Mpoma : "From Blacks to..." at Brussels' Centre for Fine Arts. January 2017. Interview for film "Le Soleil Dans Les Yeux" by newspaper LDB / Patrick Ndungidi. January 2017. Spoken word collaboration "J'ai toujours voulu" with Cloé du Trèfle and Samir Sam'Touch. December 2016. Film "Le Soleil Dans Les Yeux" premieres at the Belgian Film Festival System_D. October 2016. Acting for "Le Caméléon" (theater play) directed by Dada Stella Kitoga. October 2016. Voice acting for "Slavery Routes" directed by Juan Gelas and Philippe Lacôte. October 2016. Production of film "Ata Ndele" directed by Malkia. September 2016. Photo exhibition "Goma Spirit" at the Swiss Festival Kongo Cultures in Lausanne. July 2016. Article on BrittlePaper about the visual "Poem for Philomene". July 2016. Pre-production of the film "Le Soleil Dans Les Yeux" with Pianofabriek CityLab. June 2016. Photo exhibition "Stories" for the Dutch iAfrica Festival in Den Haag. May 2016. Presentation of the book "Creating in the post-colonial world..." at Brussels' Bozar. May 2016. Acting for "Salamander II" directed by Frank Van Mechelen. May 2016. Presentation of the story behind the scenes of "Joy Power" on Shadow and Act. May 2016. Short film "Gni ts ac" screening at Brussels' Festival Massimadi. March 2016. Directing, filming, editing "Joy Power". March 2016. Interview by Ralf Touomi for Kamita Mag. March 2016. Filming completed for Cloé du Trèfle's "Même Longitude Mais Bien Plus Au Nord"
February 2016. Photographic exhibition at the University of Antwerp. February 2016. Co-production and acting for "Ata Ndele"directed by Malkia. December 2015. Screenings and Q&A sessions for the filmmakers gathering BXL Film Guild. December 2015. Interview for the Congolese newspaper "Les Dépêches de Brazzaville". December 2015. Short film "Gni ts ac" screening at the Festival Cinéma Méditerranéen. December 2015. Photography exhibition "Explosion Personnelle" at Louvain-la-Neuve's PointCulture. November 2015. Poetry intervention at Brussels SlamFactory. November 2015. Public session titled "Decolonize Imaginations" thanks to ZinTV and Brussels Pianofabriek. November 2015. Interview about art and life lessons by Madifon By Fashion. November 2015. Video teaser of photo exhibition "Explosion Personnelle" at the PointCulture Brussels. October 2015. Acting for "Na Lingi Yo" directed by Badi & O'Nonto Z.
October 2015. Article on Shadow and Act about the short film "Miel" directed by Malkia. October 2015. Acting for "From Darkness To Light : Bipolar Disorder Portraits" by Juan H. Rodriguez. October 2015. Writing and acting for short film "Miel" directed by Malkia. October 2015. Short film "Gni ts ac" screening at Antwerp's MAF 2015. October 2015. Poetry intervention at the Parlement Francophone Bruxellois. September 2015. Poetry performance and short film "Condamné" screening at Brussels FIFAB 2015. August 2015. Video interview about upcoming photo exhibition at Brussels Point Culture. July 2015. CNN article about Cairo, Lagos and Kinshasa featuring three urban photographers. July 2015. Conference on the topic "Can we say there is an african film industry today ?" June 2015. Photo exhibition and film screening with System_D at the Pianofabriek. June 2015. Recording of "Couleur De Miel" with original music composed by Cloé du Trèfle. June 2015. Public reading of the poetry book "Des Intégrations" at La Librairie Filigranes. June 2015. Classroom session on identities, roots and wings with teenagers of Koninklijk Atheneum Etterbeek. April 2015. Public reading of the poetry book "Des Intégrations" in L'Horloge Du Sud. March 2015. Online presentation of a "Behind the scenes" with L'Animalerie. March 2015. Writing/Reading & photographic collaboration with Human Acts for the Women's Day video. February 2015. Music video for Cloé du Trèfle and Tri Minh ; "Je ne sais pas". February 2015. Official release of the poetry book "Des Intégrations" at La Boutique Maelström. January 2015. Performance with /Warrior Poets/ at Brussels Bozar for /Litanies For Survival/. December 2014. Short film "Gni ts ac" wins the "coup de coeur" of the /Film Festival System_D/. December 2014. Article about "Gni ts ac" in /Brussel Deze Week/ and on /Brussel Nieuws/. December 2014. Collective photo exhibition "Shot in the Dark" at the Festival System_D. November 2014. Final version of the "Making-of Soeur Oyo" for "Soeur Oyo" DVD release. October 2014. Poem "The Colonizer"on the Congo Week Reflections. October 2014. The filmed journal "In Search of Freedom"on /The Africa Channel/. October 2014. Interview by / Radio Okapi / about past experiences and upcoming artistic projects. September 2014. Reading with / Warrior Poets / at the / EllesTournent-DamesDraaien / Film Festival. July 2014. Actor in the feature film "Black" directed by Adil El Arbi and Bilall Fallah. June 2014. Music Video for Badi featuring 7 Kinshasa M.C. ; "243.Remix". June 2014. Music Video for Badi featuring Youssoupha ; "243". June 2014. The short film "Condamné" closes the Festival International du Cinema de Kinshasa (FICKIN). March 2014. Actor in the short film "Gelukkig Zijn"directed by Frin Platteeuw. February 2014. Release of the written/directed/edited short film "Gni ts ac". January 2014. Beginning of a monthly directed/edited Congolese filmed journal "In Search of Freedom" with music by Badi and music by Fredy Massamba. January 2014. Photo exhibition at L'Horloge Du Sud in Brussels with a "Congolisation" performance directed by Pitcho Womba Konga. November 2013. Release of the written/directed/edited micro-series "The Woods". October 2013. Actor/co-writer at De Monty theater in Antwerp for "We Have A Dream" directed by Adel Jarallah. August 2013. First Assistant Director/Still Photographer/Actor for the short film "Soeur Oyo" directed by Monique Mbeka Phoba. May 2013. Interview by Abstract Illusions Radio about life and art. April 2013. Release of the directed/edited reportage "Confusion(s)" in collaboration with the United Nation High Commissioner for Refugees (UNHCR) and Basketball Global Vision (BGV) in Rabat, Morocco. March 2013. The short film "Condamné" is in the selection of the Luxor African Film Festival (LAFF). October 2012. Music Video for Cloé du Trèfle ; "Hors du temps". September 2012. Release of the written/directed/edited short film "God Does Not Exist" with original soundtrack composed by Cloé du Trèfle. August 2012. Photo exhibition at Saint Ors in Brussels. June 2012. Release of the written/directed/edited short film "Condamné" inspired by the song of Badi featuring Fanny Vanilia. April 2012. Beginning of the Kinshasa photographic project "Impression". December 2011. Music Video for Badi & Senso ; "Jump2" co-directed with Hubert Amiel. October 2011. Release of the written/directed/edited short film "Shadows" with original soundtrack composed by Wilco Alkema. May 2011. Actor at the KunstenFestivalDesArts / www.kfda.be / in Brussels followed by a European tour with "Les Spectateurs" directed by Lotte van den Berg. May 2011. Photo exhibition at the Belgian Society of Authors, Composers and Publishers (SABAM) in Brussels. April 2011. Performance at De Centrale in Ghent with The Soul Affair. October 2010. Poetry workshop at the Festival International du Film Francophone (FIFF) in Namur and at the Royal Museum for Central Africa (RMCA) in Tervuren. May 2010. Performance at Le Prisme in Braine-l'Alleud with Frédéric Gibilaro. January 2010. Performance at The Soul Affair in Brussels with L'Art d'Etre Humain (LAEH). March 2009. Founder and editor of the collective poetry website / www.lartdetrehumain.net /.